Scott Tominovich brings to McAllister & Quinn and its clients over 15 years of specialized expertise in working with the Federal Government. 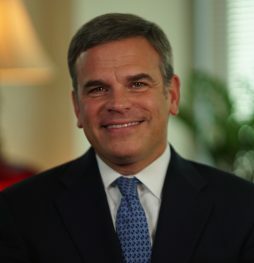 Prior to joining McAllister & Quinn, Scott was a Senior Vice President and Senior Consultant at two of Washington’s leading government affairs firms. Before that, he served as the Director of Government Affairs for the Apollo Group, Inc. In that capacity, he oversaw Apollo Group’s federal government relations efforts. Prior to joining the Apollo Group, Scott served as Special Assistant to the current House Majority Leader, Steny Hoyer (D-MD). Scott has a proven track record of successfully representing the concerns of a diverse client base ranging from some of the country’s most respected corporations, charities, healthcare providers and post-secondary institutions to the smallest of venture backed startups. Scott is a 1991 graduate of Boston College in Chestnut Hill, MA, where he received his B.A. in English and political science. He lives in Annapolis, MD with his wife KC and their three sons. Director of Government Affairs, Apollo Group, Inc.